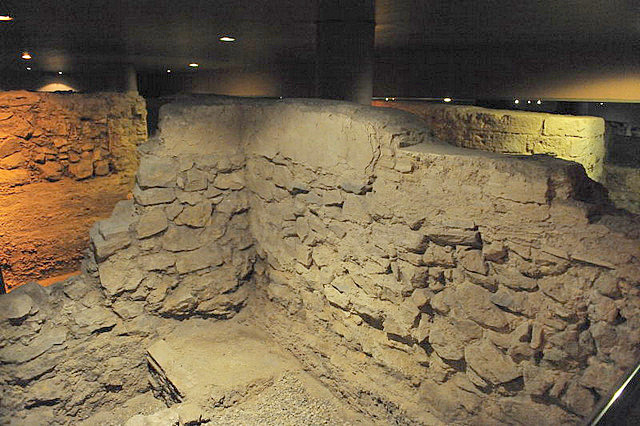 The Museo de la Muralla is located in the basement of the "Casa del Paso", which today forms part of the University buildings of the Campus de las Salesas de la Universidad Miguel Hernández and shows a large area of the former Arab and earlier Christian constructions following the Reconquist, offering a fascinating window into the history of Orihuela more than 1300 years ago. 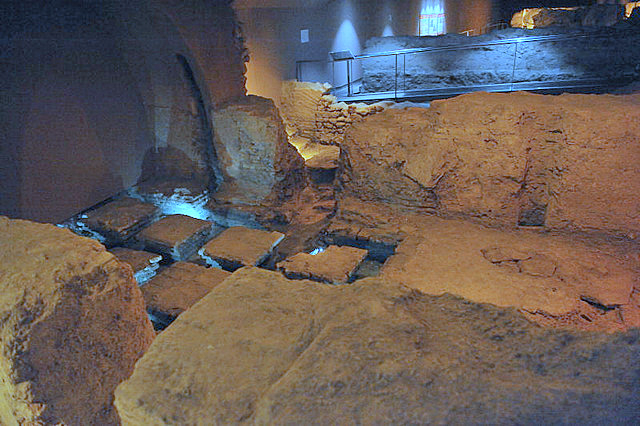 The remains were uncovered between 1998 and 2000 during construction works to extend the University of Orihuela when the old Casa del Paso was demolished, and realising their importance, archaeologists were granted time to excavate before the remains were recovered to permit construction of the modern building above them to continue. With the new University open, this museum was opened beneath the new building. 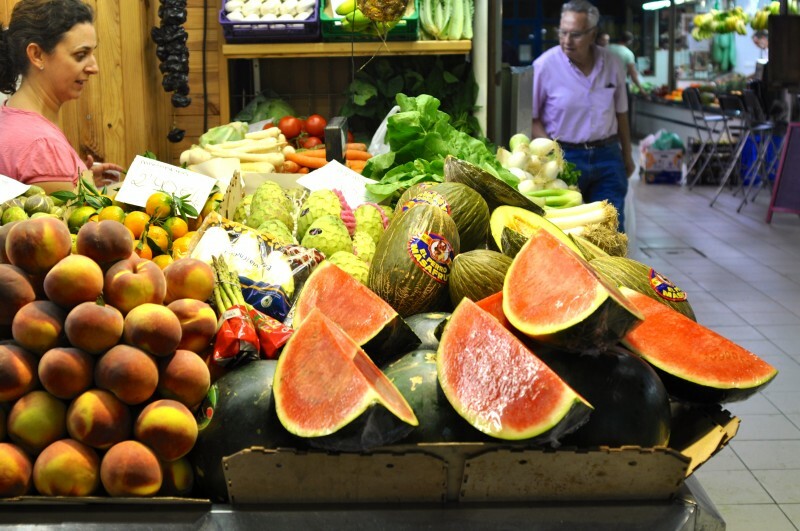 Entrance is via a staircase in the corner of the little plaza, just behind the Iglesia of Santas Justa y Rufina, a church which has one of the oldest Gothic towers in the Valencia region and was one of the most important buildings constructed during the mediaeval period in Orihuela. 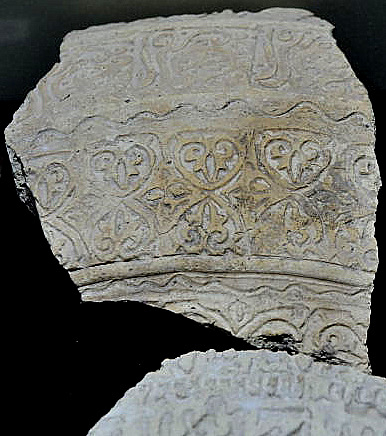 Alongside it would have been the mediaeval palace of Prince Fernando of Aragón, the palacio del Infante Fernando de Aragón, Señor de Orihuela, dating from the second half of the 14th century, the footprint of which can be seen inside this museum, built on top of the original Moorish settlement. 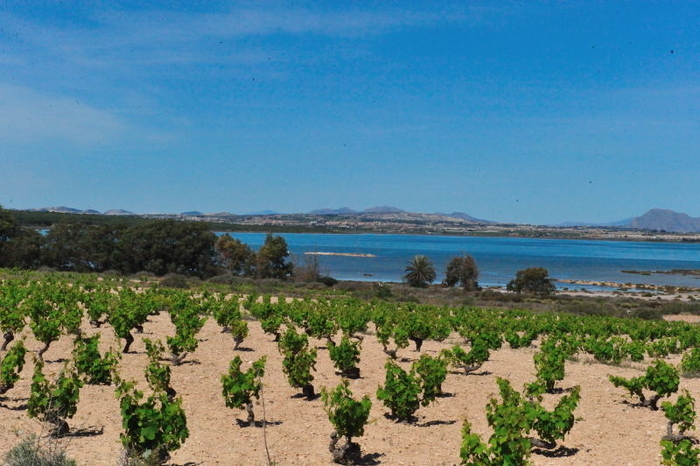 The Visigoths had a settlement called Aurariola on the site of modern day Orihuela, building a substantial fortified structure on the rocky outcrop of the Sierra de Orihuela, overlooking the River Segura, which was navigable at this time, and the flatlands of the Vega Baja down to the sea, controlling the important trade routes and the former Roman road, the Via Augusta, which ran right along the Mediterranean basin. 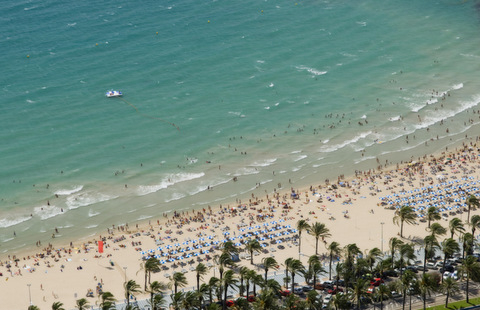 However, population numbers were low, as this was a time of war and armed struggle between the Visigoth rulers following the fall of the Romans, and constant threat of invasion from other Germanic tribes. 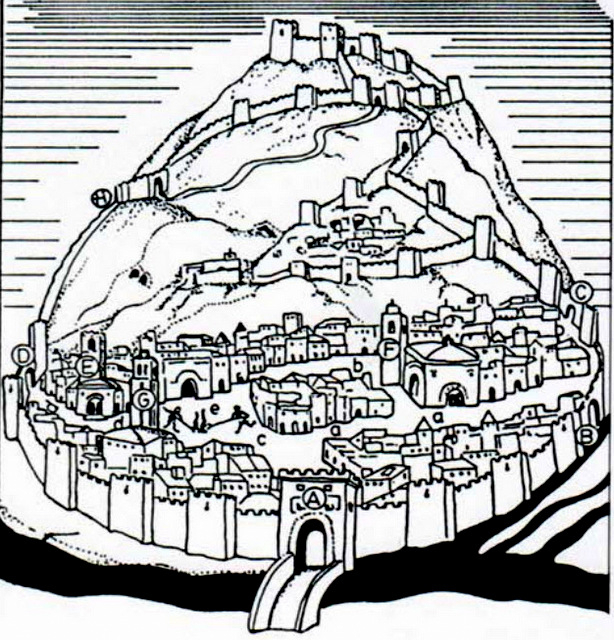 The settlement of Aurariola was ruled by Visigoth overlord Teodomiro, or Tudmir, but no real evidence has been discovered of Visigoth construction other than the substantial wall which surrounded the settlement and the main growth of the town began when Moors and Berbers invaded what is now southern Spain in 711. In practically no time at all, the major population centres had either been overrun or had surrendered to the armed onslaught. Although the Moors were formidable fighters they preferred to allow their opponents to surrender, because this allowed them to achieve political power in a stable community in return for allowing the natives to carry on with their way of life to a large degree. This was the case in Aurariola and the Pact of Tudmir was signed on 5th April 713, by Tudmir (or Theodomir/ Teodomiro ) and Abd el Aziz, the son of the governor of Northern Africa, leaving Tudmir in power to continue ruling the wide swathe of territory which included the cities of Lorca, Mula, Orihuela, Alicante and Villena, but under the supervision of Abd el Aziz. 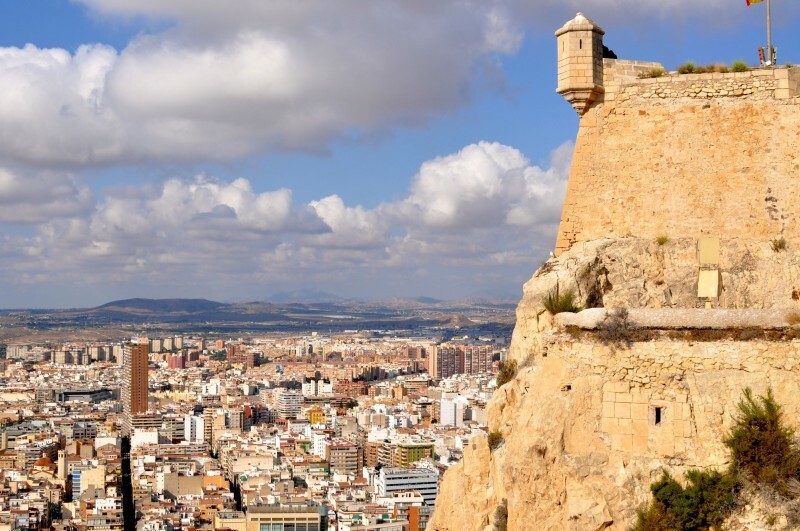 The Moors remained in power for 500 years until the Catholic forces of the Reconquist took the town, and much of southern Spain during the 13th century, leaving just the Kingdom of Granada under Nasrid rule until 1492 when it was finally conquered and the Moors were expelled from Spain. 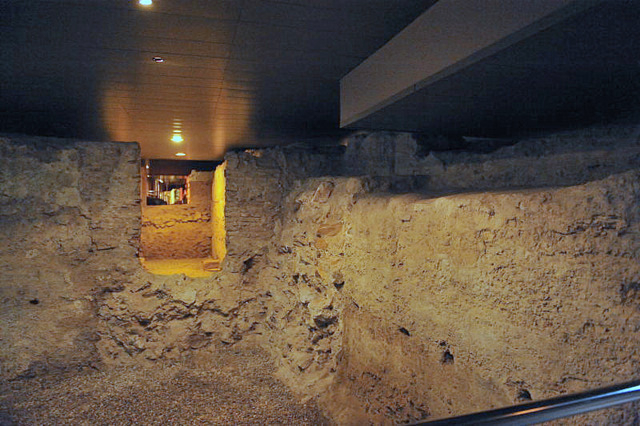 The museum contains a substantial length of the original wall which enclosed the town, dating from the middle of the 12th century to the middle of the 13th when the Reconquist took place, running from one end of the basement to the other, showing the thickness of the wall which protected Orihuela. This stretch of the wall also includes three quadrangular towers, and the remains of a buttress. 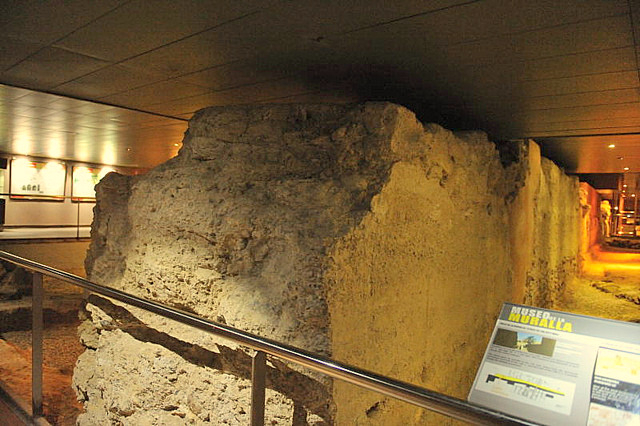 On the outside of the wall are the remains of a bath house which have approximately the same date as the wall, covering an area of around 200 square metres. Bath houses were an everyday part of life for the inhabitants of the city, who lacked bathrooms in their homes, using communal baths for their daily hygiene. These baths had three different rooms for different phases of the cleansing process using a system similar to the Romans, with cold, warm and hot rooms. There is evidence that these baths were used up to the 14th and 15th centuries. 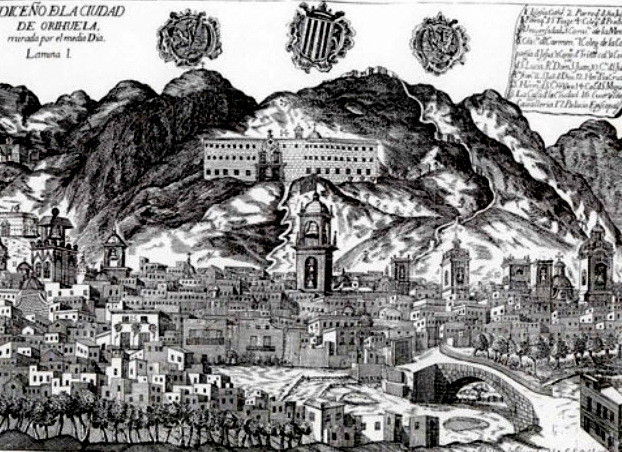 It is quite likely that a residual population of agricultural workers remained in the area even after the Reconquist, but even these Moors were expelled from Spain at the end of the 15th century once Granada fell to Isabella and Ferdinand, the Catholic Monarchs” and the Reconquist of Spain was completed. Alongside the wall are the remains of individual houses, dating from the middle of the 12th to middle of the 13th centuries and used into the earlier mediaeval era. These are built along a street which runs parallel to the wall and are a typical Moorish design, the rooms around a central patio. 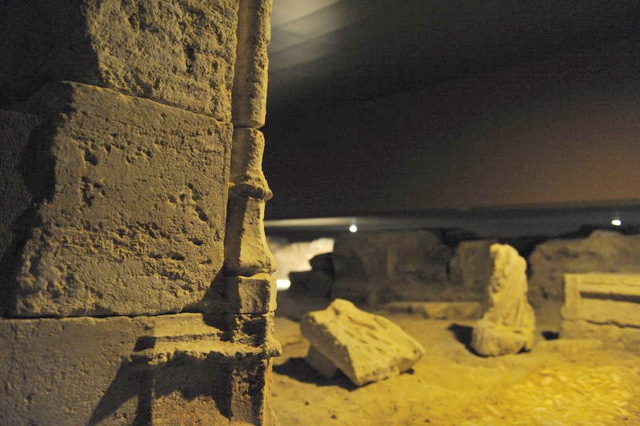 Inside the wall is the footprint of the palacio del Infante Fernando de Aragón, Señor de Orihuela which was built in the later part of the 14th century and is the only civil Gothic building to have been discovered in Orihuela to date. 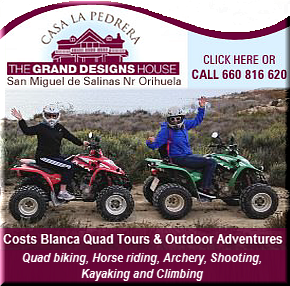 This, along with the Moorish structures, was subsequently demolished, and other properties constructed over the top of them, including the "Casa del Paso", built in the 18th century, which was used for a number of purposes, including a spell as a jail. An interesting little detail is that the daughter of the prison jailer became the wife of local poet, Miguel Hernández, probably the best known inhabitant of Orihuela through its long history, to whom a number of monuments are dedicated today, and after whom the University building above the museum is now named. 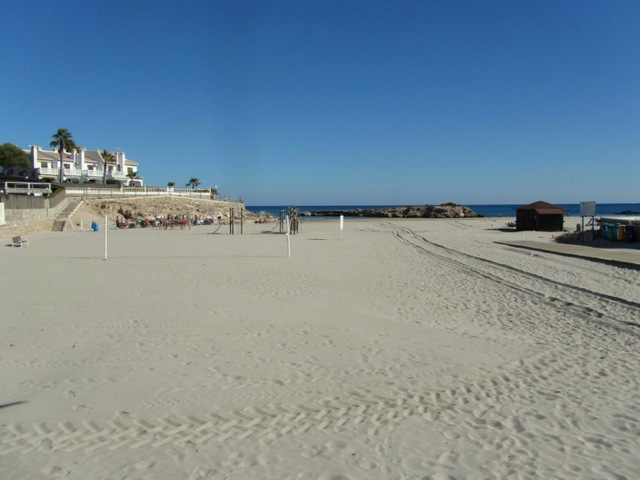 In the Wars of Spanish Succession at the start of the eighteenth century the city’s governor, the Marqués de Rafal, threw in his lot with Charles of Austria, ensuring that Orihuela ended up on the losing side. 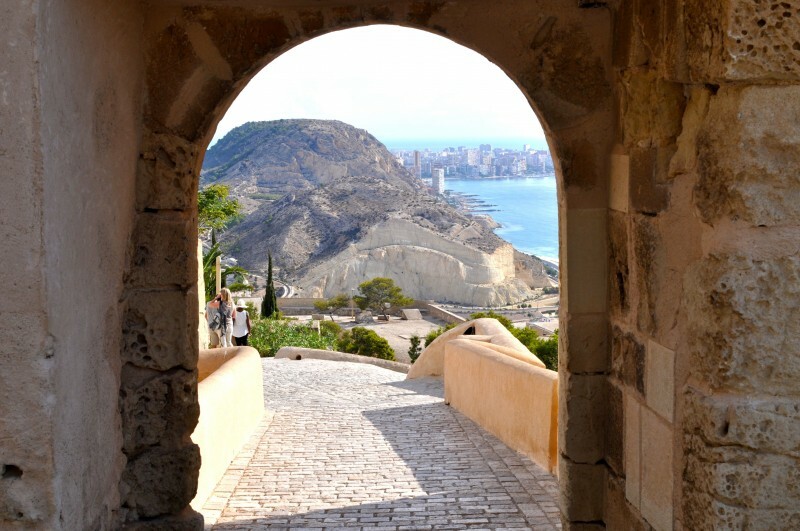 When his opponent Felipe of Borbón triumphed the city was sacked and Cardinal Belluga ordered that the walls and fortifications protecting the city be destroyed, ensuring that the occupants would remain loyal to the crown. 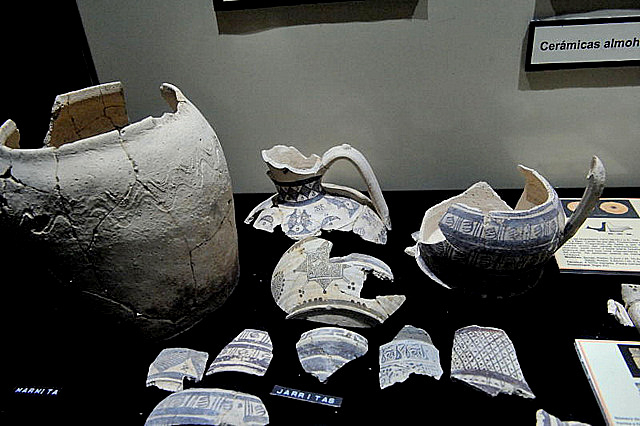 A visit to the museum begins with a small room showing some of the finds from the excavations carried out, dating from the 12th century to the modern day, as well as an interesting audiovisual presentation illustrating the various phases of development in this site. The audiovisual is in Spanish, but it’s easy to get the gist of what’s being said and there are a number of informative panels dotted around the museum in dual languages, although they´re not very easy to read due to the subdued lighting. It’s always difficult to understand the importance of ruins when there are just stumps of walls remaining, but this museum is interesting because it helps to give an idea of the scale of this wall which surrounded the settlement. There are still a few fragments remaining on the surface: one piece down by the Ociopea shopping centre is above ground and there are other sections still pegged to the hillside up by the ruins of the castle.